PE0138. 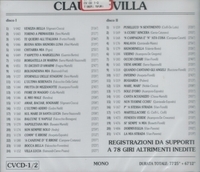 CLAUDIO VILLA, incl. 45 Songs by Pigini, Martelli, Rendina, Stazzonelli, Bonagura, Esposito, Cioffi, Bovio, Stazzonelli, Canetti, etc. (Italy) 2-Clama CVCD 1/2, recorded 1940s. Final sealed copy! 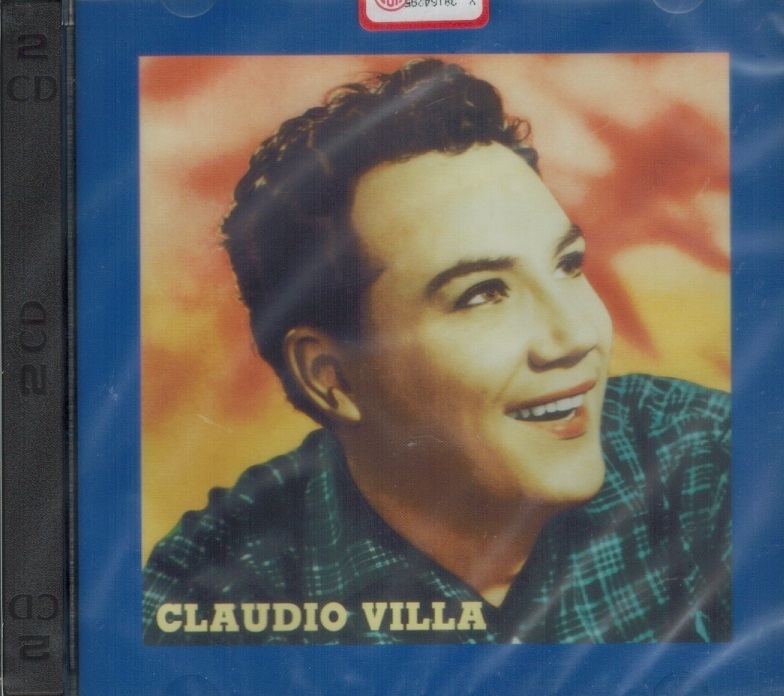 “Tenor Claudio Villa was born Claudio Pica in the Trastevere quarter of Rome in 1926. He recorded over 3000 songs, sold 45 million records, and appeared in 25 musicals during his career. 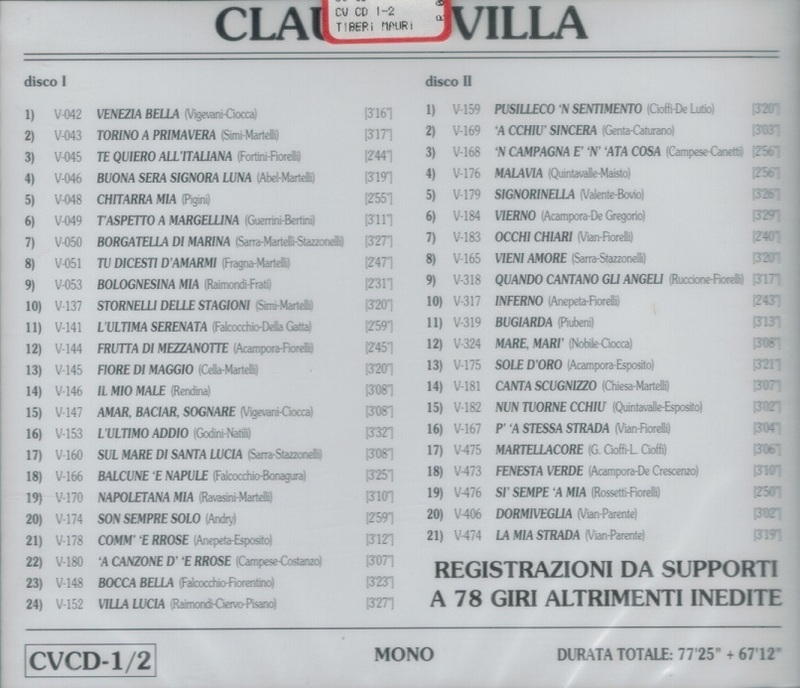 Many songs made famous by Villa, like 'A Tazza 'e Cafe', were recorded for the Fonit-Cetra company. Together with Domenico Modugno, Villa holds the record for the most ‘wins’ at the San Remo Music Festival, where he won the competition in 1955, 1957, 1962 and 1967. He also sang at another Italian music competition, ‘Canzonissima’, a television event shown on RAI from 1956 to 1974. He won Canzonissima in 1964 with ‘O sole mio’ and in 1966 with ‘Granada’.